When the executive delegation from pharmaceutical company AstraZeneca and its subsidiary, MedImmune, attends a conference, each participant seeks to forward the company’s business goals by maximizing their ability to network with other attendees. 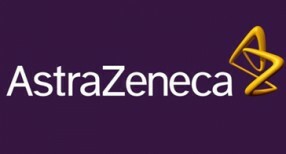 In 2014, AstraZeneca selected JUJAMA’s scheduling platform, BioProScheduler, to provide the delegation with “outside meeting” scheduling capabilities at the J.P. Morgan Healthcare Conference (JPMHC), where many meetings take place outside the densely-scheduled main agenda. The JUJAMA BioProScheduler tool enabled AstraZeneca’s executives to engage other attendees in the most professional, reliable and efficient manner, and provided the flexibility to accommodate the inevitable last-minute schedule changes by enabling the team to prioritize meetings and deploy appropriate delegates to each one. Chris Yochim, Director, External Relations, Global Products and Portfolio Strategy for AstraZeneca, said, “Nadia Dailey and Robert Naismith, the developers of JUJAMA and BioProScheduler, have a deep knowledge of the life sciences industry, informed by their founding of MedTrack, the life sciences corporate intelligence database. Because of that history, we knew the high quality of their technologies and their appreciation for the needs of life science companies.